I’m not an awards show fan. I’m also not a fan of being out of the loop the day after an awards show when everyone is talking about so-and-so’s amazing speech or wardrobe malfunction. 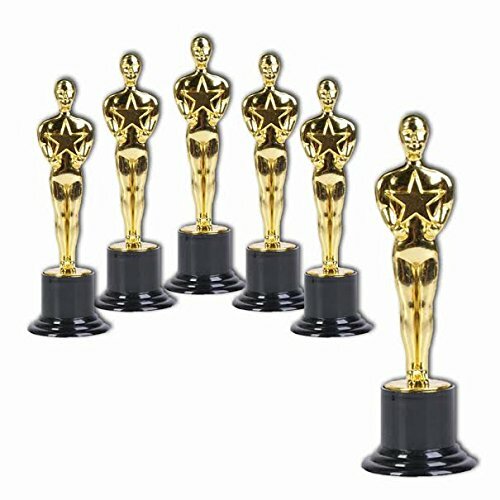 So, I decided to find a way to make the Oscars more fun for me to watch. 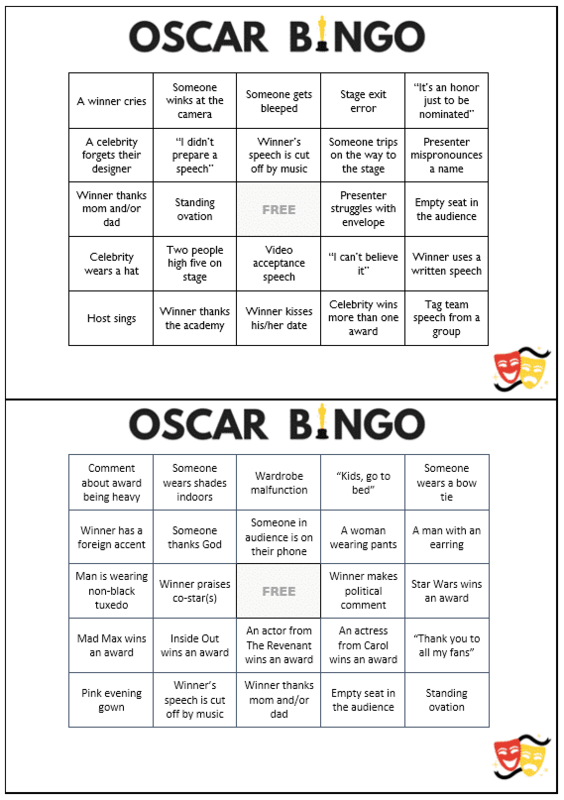 And since I love playing games, I decided to whip up some Oscar party BINGO cards to keep me focused on the show come awards night. I’m sure you already know how to play bingo, but just in case, here’s the low down. Print off an Oscar party bingo card for each player or team. There are 8 different bingo cards (only the first two are pictured above). Each player crosses off an item as they see or hear it on the show. Some things are items people are wearing, some have to do with award results, some are things that will occur in the audience, and others have to do with things the host/presenters/winners do and say. The first person who gets 5 items in a row (horizontal, vertical, or diagonal), wins. 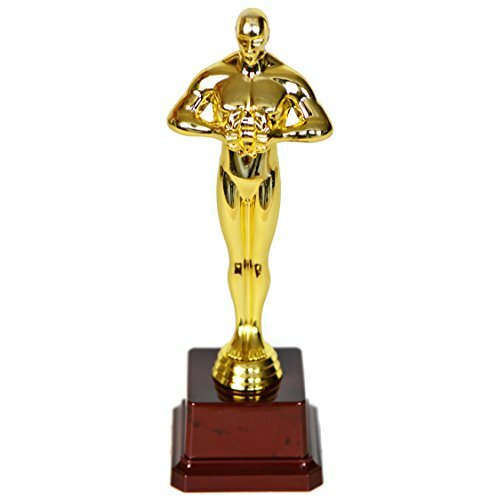 I’m a big fan of letting victory be its own reward, but if you absolutely MUST give a prize, I like this imitation Oscar award. If you want to keep bingo going, you can play other variations of bingo to allow for multiple winners. Big X – Winner is the first player to have two diagonal bingo lines forming a large “X” on his or her card. Outside Edge – Winner is the first player to mark off all of the items along the edges of the card forming a large square. Don’t forget to feed your bingo players! Check out my favorite Oscar party appetizers. Don’t limit your Oscar fever to award season! You can enjoy Oscar-winning movies any time of year. 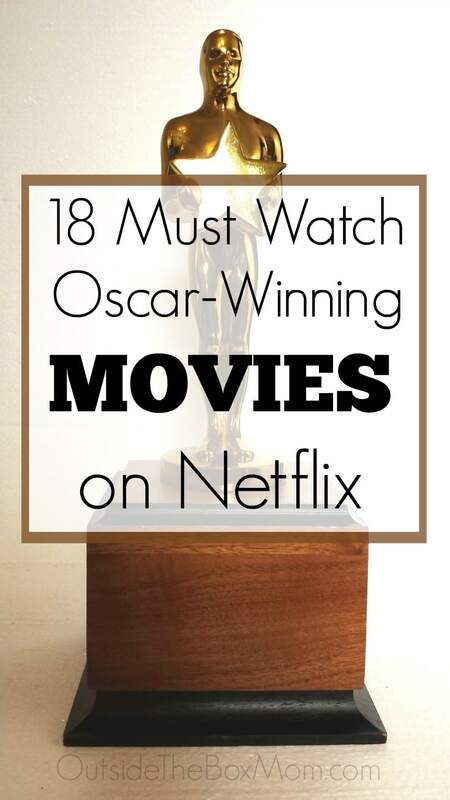 Check out this list of Oscar-Winning Movies you can watch on Netflix. This sounds so fun, and right up our alley! We don’t have a working tv at the moment, but I’m saving this for next year and pinning it, as well! This looks like so much fun! I am going to print this out amd play with my daughter! How fun! Now with an activity like this, I could maybe even enjoy watching. This would be a great game to play when all of my girlfriends stop by to watch. What a fun way to spend the evening. My vote is definitely with Leo! I don’t watch awards shows, but this made me laugh. I definitely know a lot of people who will find this entertaining! Thanks for sharing. What a fun idea. I want to try this for an extra fun element for the hubs and kiddos. I’m not much on Oscar and award shows either. But this bingo game would make it more entertaining. 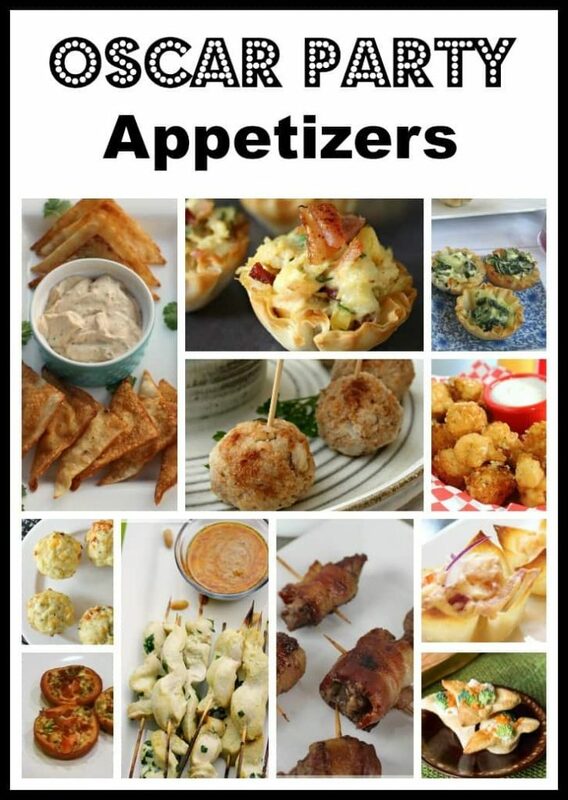 Paired with those appetizers, it would be a party to remember.